In what will surely come as absolutely no surprise to anyone who at all cares about Final Fantasy XIV, it has been further confirmed through of all things a developer profile (the profile has since been removed), that it will indeed be seeing an Xbox 360 release. The decision for an Xbox 360 release has all but been explicitly stated for quite some time now. Last August, it was reported that Xbox Live's policies on internet use were delaying the release of the Xbox 360 version, with the PC and PlayStation 3 versions seeing an earlier release date. 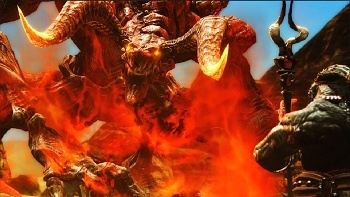 The game's initial E3 announcement only mentioned release of Final Fantasy XIV on the PS3 and PC. "That doesn't mean that we're not going to have a 360 [version] in the future, but at the launch timing, yes, it's going to be Windows and PS3 only," Final Fantasy XIV producer Hiromichi Tanaka said in an August interview. At this point, while it might not be completely official, there is little doubt that a release is at least in production. After all, with Final Fantasy XIII coming to Xbox 360, Sony's exclusive rights to the series have long since dried up. Final Fantasy XIV is expected some time this year, and with eleven months to go, that's a pretty large window.